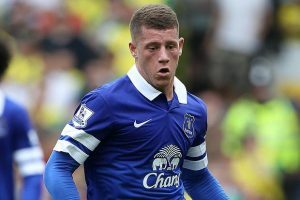 This passed week, pundits have been praising, in very high amounts, how much of a gifted player Everton’s Ross Barkley is and how much of a prospect he is at just 20 years old. However, people seem to be forgetting that he is only 20 years old and being a professional footballer at a young age in the Premier League can create tonnes of pressure for the youngster. this season in particular has seemingly been over run by young and gifted talent in the Premier League. From Ross Barkley at Everton to Luke Shaw for Southampton. This is very positive for the English national teams; seeing the country’s young talent playing with and against some of the best players in the world. Despite this, the way pundits have been talking about Barkley and even already comparing him to one of the Country’s greatest ever players, Paul Gascoigne, is something of a very risky move and puts so much pressure to meet these praises on a regular basis. I’m not taking anything away from how good Ross Barkley is, he is a fantastic player, but such strong praise like this can put so much pressure on him to even cause a drastic drop in performance. Look at Michael Johnson as an example of this. he made his senior debut for Man city in the 2006/2007 season at just 18. he was immediately hit with praise from his colleagues and pundits and was a regular for international youth sides. After injury, he struggled to make it back into the Man City starting XI and is now without a club and had some well know problems and that now has caused him to have depression. We don’t want this to happen to Ross Barkley or any of the other young talent in the Premier League. Everton manager, Roberto Martinez, should be careful to not waste his talent and hopefully build him into a world class midfielder over the next few years until the next World Cup in 2018 where he would be able to shine. Next articleCan Manchester United Save Their Season?